As we approach the 30 day dash to the September 9th Primaries here in Delaware, Delaware Right would like to solicit the thoughts, theories and predictions of our readership. One thing we have noticed since our Launch in February 2013, is that we have had some interesting conversations with some interesting people. Like most blogs locally, once you weed thru the sock-puppets of the sphere, different people show up on different topics. Included on the FACEBOOK page and our TWITTER where we talk to ‘real people’ so to speak. Keep it interesting and on topic please, and as always, “we agree to disagree without being disagreeable”, but what you say is on you because the views and opinions of our ‘guests’ and “commentators” is theirs, not necessarily the views of the Leadership of Delaware Right. 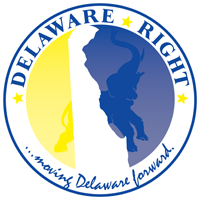 Send your submissions to info@delawareright.com and we will contact you. So please provide a valid email address. Thank you and we look forward to a spirited conversation on the Simpler/Valenzuela, Wade/Smink and Flowers/Barney primaries and of course the local races too. Local primaries in NCC, KC and SUSSEX all have a story to tell. 12 Comments on "Calling All Pundits"
not sure about the christopher thing. if turn out is low he wins. Christopher first has to win the primary, which will be tough imho, if he does win the primary by some act of god, he’s got to beat Beau Gooch in the general election. I just don’t see that happening, Beau’s got a lot going for him. Anyone who is familiar with Beau’s work, or lack there of in Lewes will have a hard time believing he has alot going anywhere. I would however vote for him over Christopher if posse man survives the primary. I mean anybody. As long as they are alive and breathing. beau gooch is a good guy. his office will do its job and stay quiet about it. i am still not convinced christopher gets beat in a primary. outside of lewes nobody has heard of beau. maybe that is part of the strategy. After all, you mean anybody. okay management awards a point to rick for the gotcha. Minard?, Urquhart?, Hudson?, ok, I think I would take Hudson. Who was at Cape Henlopen’s opening football game tonight Not Don Ayotte. Ernie and Steve greeted nearly every person as they entered Legend’s Stadium.